Someone Joked Seth Rogen Should Voice This City's Bus System. So He Did! Someone Joked Seth Rogen Should Voice This City’s Bus System. So He Did! Residents of Vancouver, Canada may have thought they heard a familiar voice coming out of the loudspeaker on recent bus trips. “That sounds like Seth Rogen,” they may have said to themselves. Well, turns out they were right. 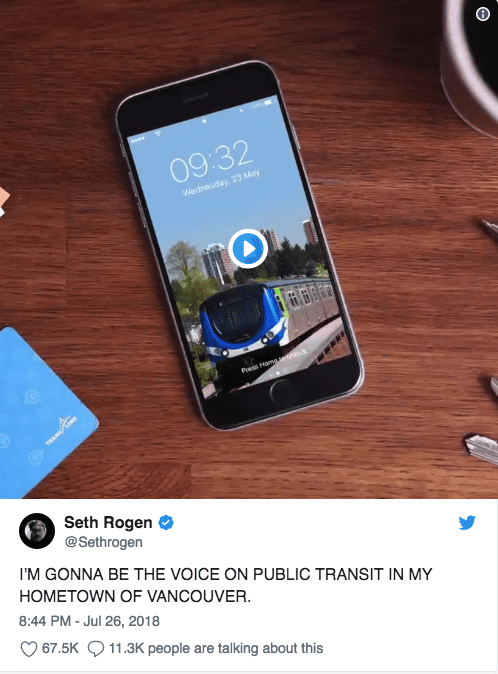 All jokes aside, Rogen says that he genuinely supports public transportation. “I grew up taking public transit my whole life, and I still use public transit when I’m in the city, ” Rogen said. And we can’t blame him, as transportation accounts for about 22% of Greenhouses gasses in the US. Taking busses is an easy way to cut emissions. Recent studies have shown that public transportation can make a huge difference in the environment. It can be hard to get people to give up the luxury or convenience of a car, but having someone so famous back the initiative can hopefully make a huge difference for the city of Vancouver, and hopefully, this will spread to other big cities where the public transportation could be improved, or use could be increased. 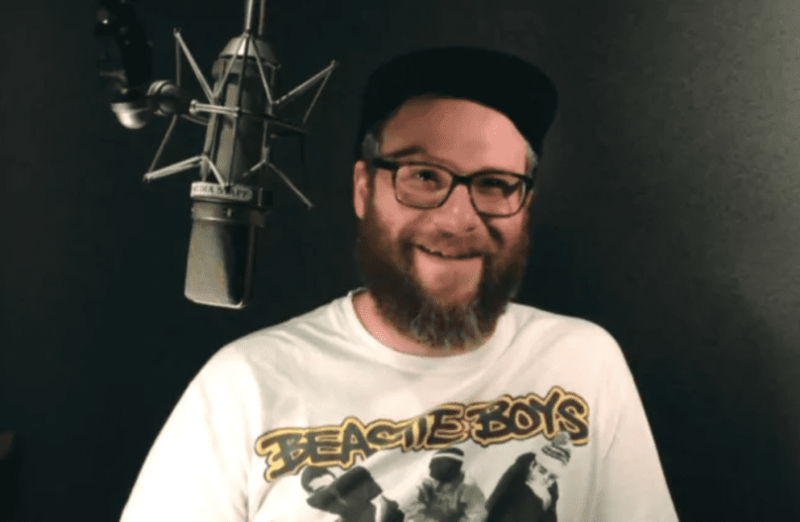 Plus, who wouldn’t want to ride the bus with Seth Rogen? !